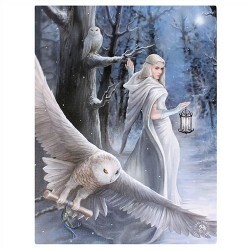 Owl and pentagram in snow. 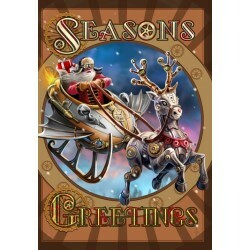 See coordinating art print for the perfect coordinated gift. 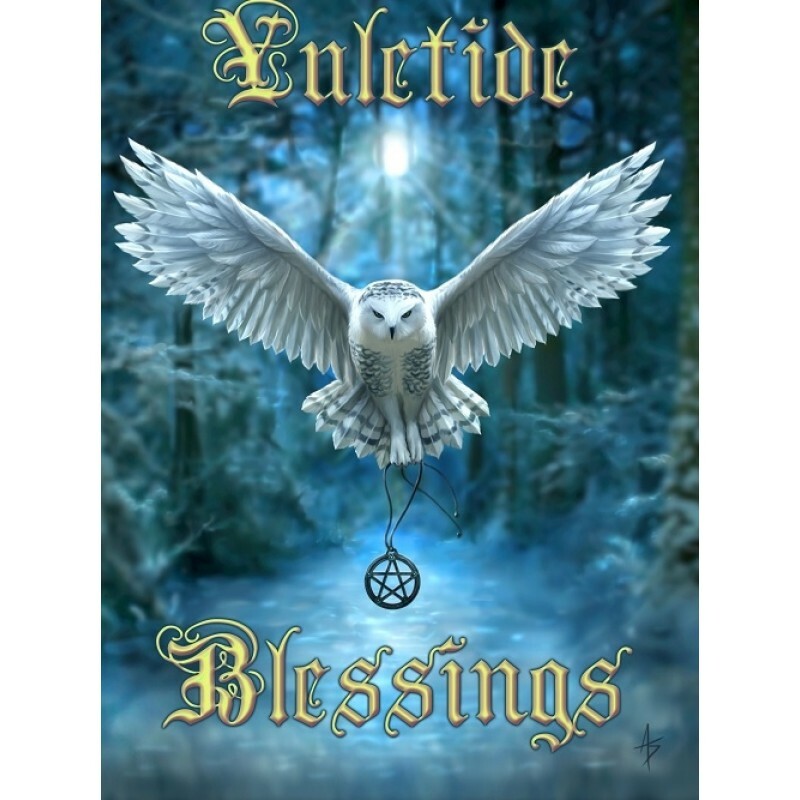 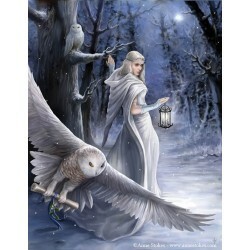 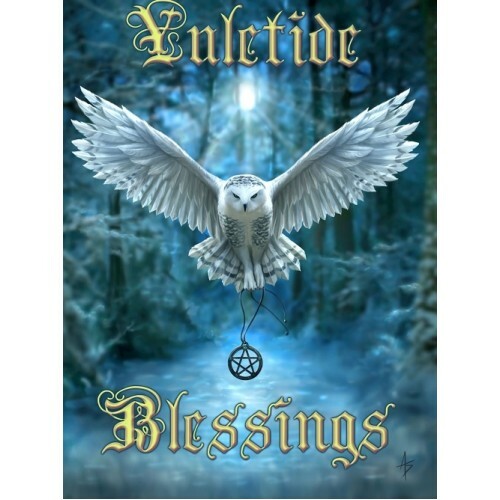 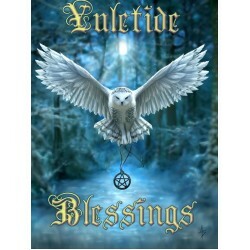 Click here to save 20% when you buy 2 or more of a variety of yule card 6 packs.